Searching for a Personal Fitness Trainer in Canterbury? Do you live in Canterbury and need a trainer who knows how to get real results? Are you after a mobile personal trainer in Canterbury who has been through it all and can provide variety in your workouts rather than the same old boring sets in the gym? Do you need a fitness coach to help with your goals that have just been out of your reach? 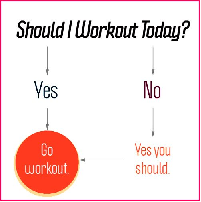 If you answered yes then I welcome you to A2Z Personal Training! My name is Andrew Zagami, founder of A2Z PT. Cancer survivor and ex-state gymnast – I know what needs to be done to achieve fitness results, which is why I am here. I want to help you achieve your fitness and weight loss goals so you can enjoy life more and feel more confident in everything you do. The only thing is there is no magic potion here to help you. The best way to achieve your results is with medium to high intensity correct exercises and a well-balanced diet. A very simple formula, but for some reason it just seems really hard to manage this alone. This is why A2Z Personal Training is here – to make it easier for you! If you want to achieve your weight loss and fitness goals, our mobile personal training sessions in Canterbury are a great way to make it happen. I really look forward to making your path to weight loss and fitness a simple one. P.S: If you are not completely satisfied with my service after 30 days I will give you your money back, no questions asked. Time User or Time Abuser? How Do You Test & Measure Your Progress?